Kathy Kitto is retiring from WWU after nearly 30 years of service! Let's honor and celebrate her legacy by making a gift to a cause she is passionate about--the Marion Van Nostrand Scholarship for single-parents in STEM. Kathy and Dennis have seen firsthand the powerful difference the Marion Van Nostrand Scholarship has made in the lives of students. This scholarship provides full tuition, fees, and $1,000 for books, and is renewable to see the students through to graduation. Kathy's dream is to see five students receive this scholarship every year. Your gift in honor of Kathy will make a tremendous difference in the lives of single parents who are struggling to make ends meet, while they pursue their education and a career in STEM. Kathy has touched so many lives throughout her tenure, inspiring students and colleagues alike. She is passionate about helping all students, no matter where they came from, and is thoughtful, wise and extremely hard-working. She has been vice provost for Research and dean of the Graduate School since October 2013. From March 2012 to October 2013 she served as acting vice provost and acting dean. At Western, Kitto also served as associate dean of Western’s College of Sciences and Technology (CST) since its inception in 2003 until 2011, and was special assistant to the Provost for Strategic Initiatives from fall 2011 until fall 2013. She is a professor emerita of Manufacturing Engineering Technology (Engineering & Design) and served as chair of the Engineering Technology Department for seven years. She also served as director of Western’s Advanced Materials Science and Engineering Center. “When I think about all the people I’ve met along the journey, I am humbled by how much my life has been deeply enriched. And, the wonderful part about the next phase of my life is that there will be still many more opportunities to add to those treasures and for something I deeply value – time with people. While Dennis and I will have more time for each other and travel, our family and grandchildren, we will be as committed as ever to the Western community. You will see us on campus often, but I will look a bit more relaxed,” Kitto said of her retirement plans. 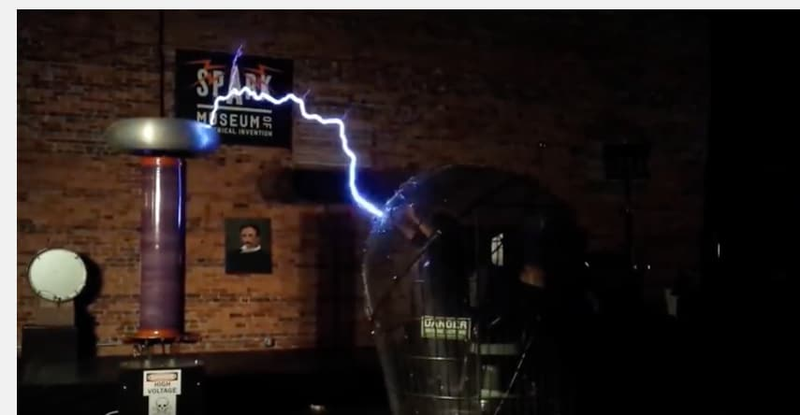 *Dean Kitto being zapped at the Spark Museum in downtown Bellingham. Your support at the backer level is so very much appreciated! Thank you for your support at the Mentor level!